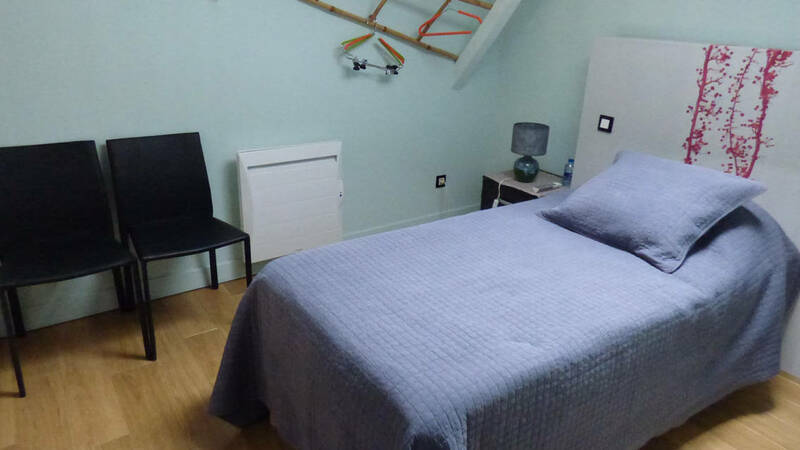 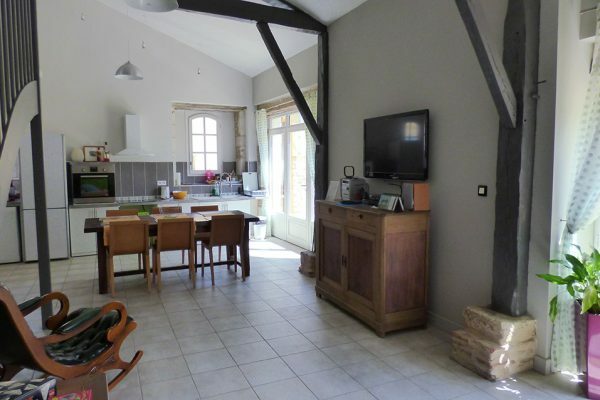 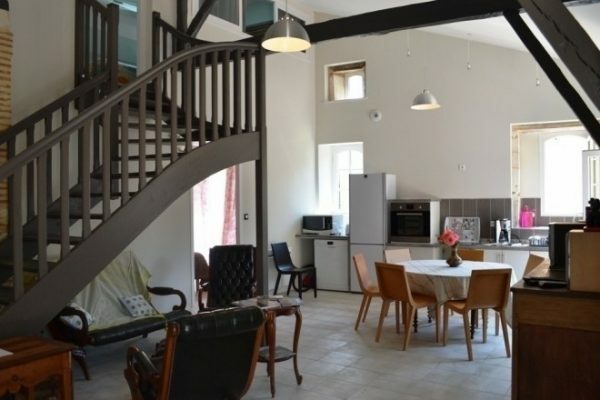 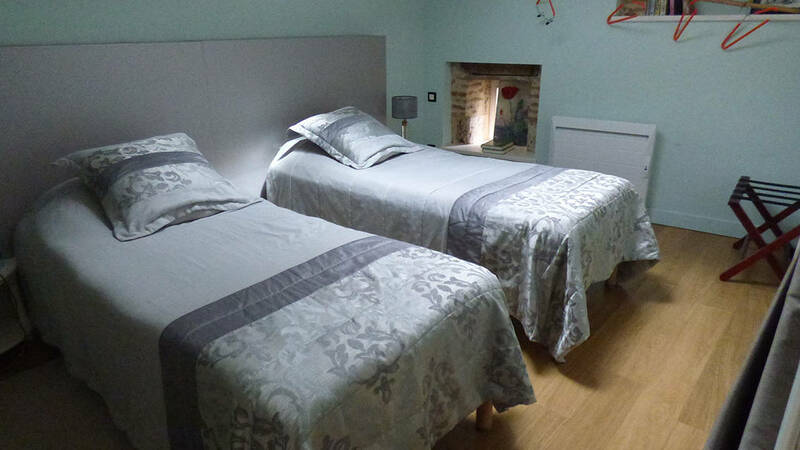 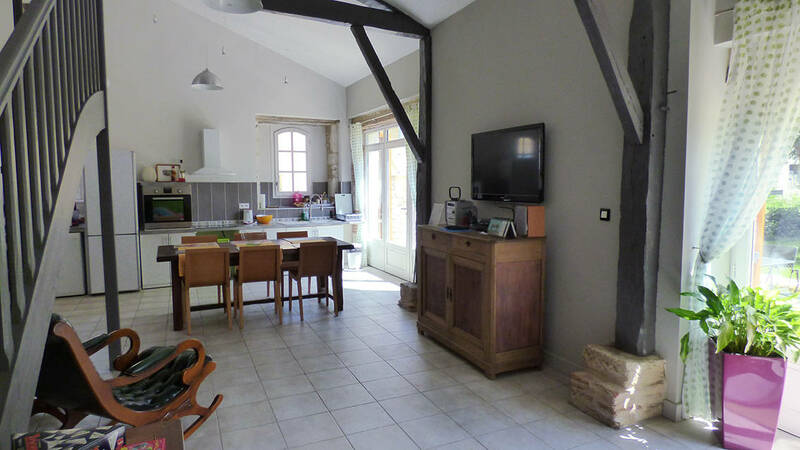 The holiday home Mara des Bois, with an area of ​​100 m², is designed and equipped for disabled access on the ground floor. 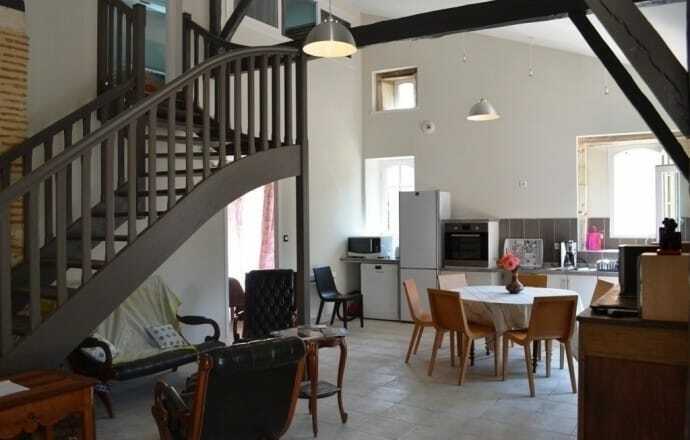 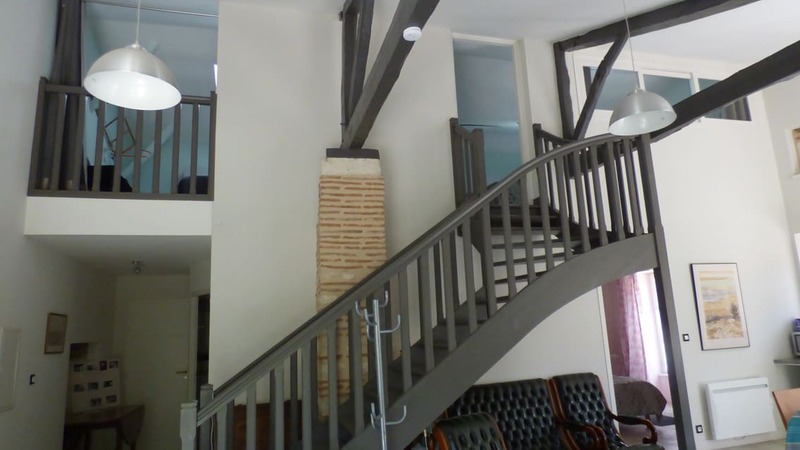 There are three bedrooms, of which two are on the 1st floor : a room with two beds of 90×200 cm (or 1 of 180×200 cm), and a room on the mezzanine (1x90x200 cms). 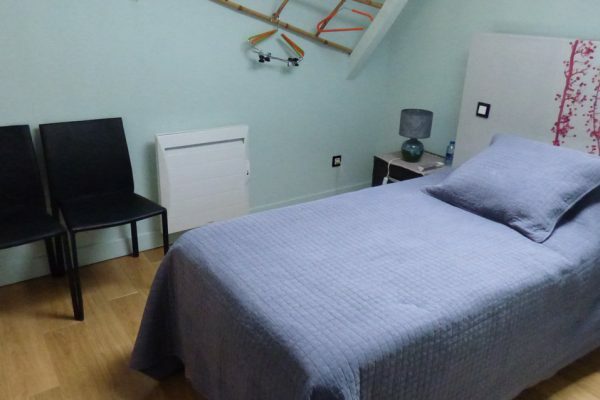 The bedroom on the ground floor also has a 2x90x200 cm bed. 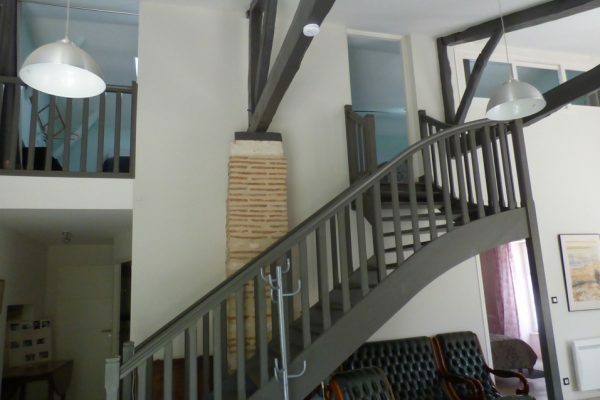 A separate toilet is upstairs. 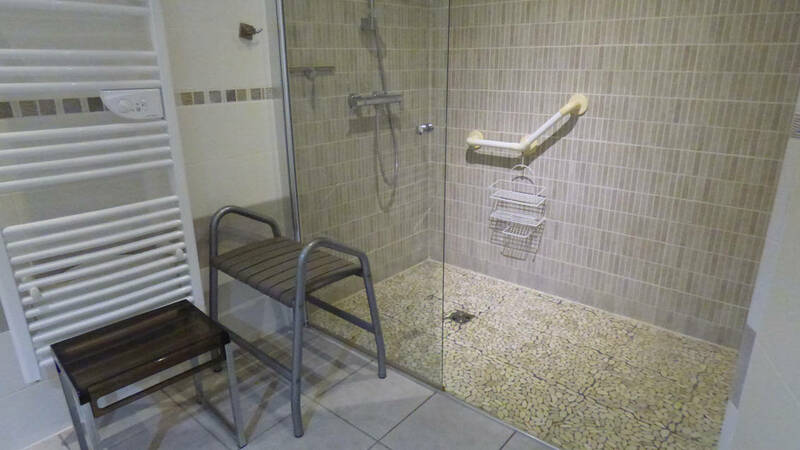 From the living room and kitchen there are two shower rooms including one adapted for people with reduced mobility (PRM) with toilets in each. 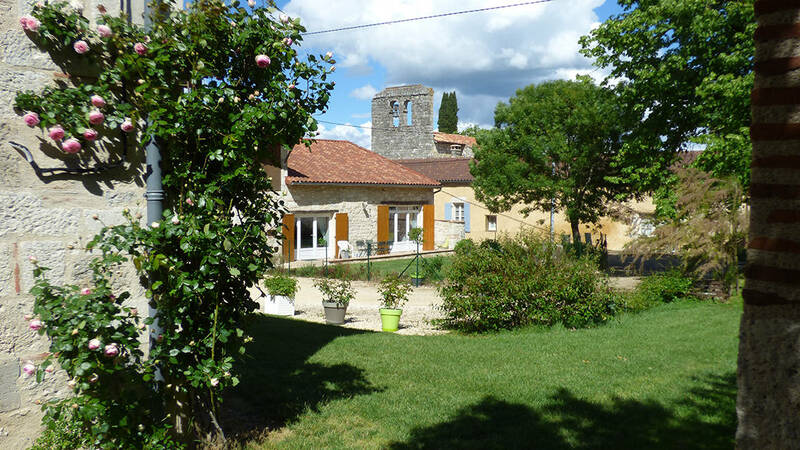 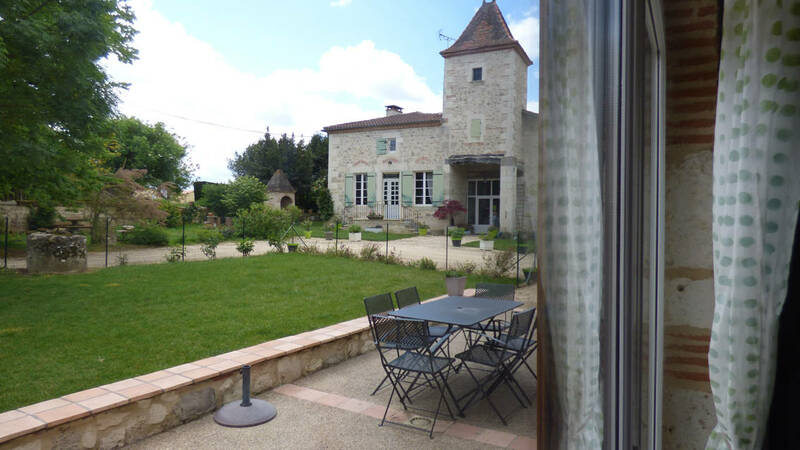 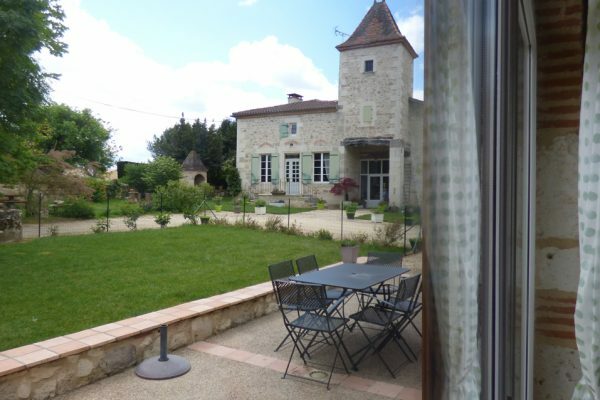 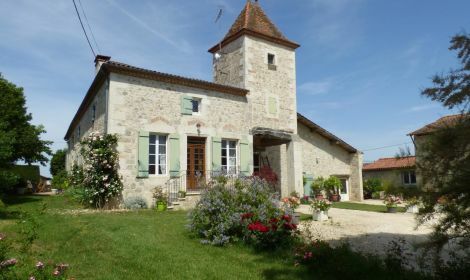 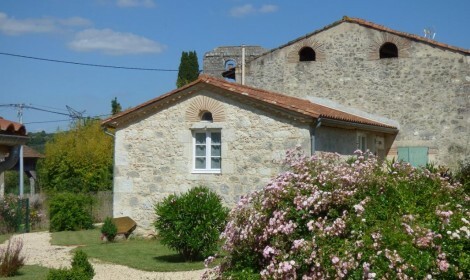 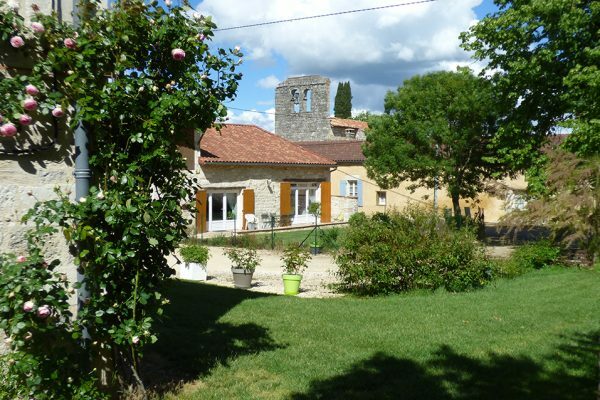 The terrace and the garden are private, and, attached to the side of the building, an « auvent » (an old open-fronted farm building) provides car parking alongside the house. 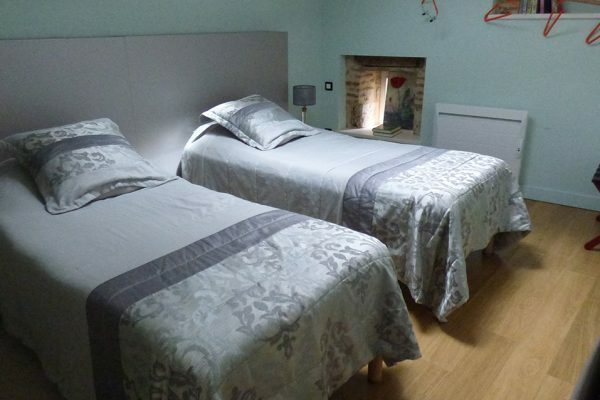 Bedding, bathroom linen, tea-towels and dishcloths are included, and the beds will already be made up on your arrival. 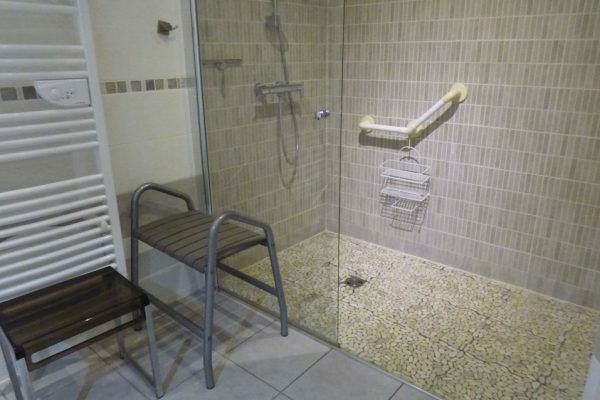 For swimming, a bathrobe is provided for each adult, and one towel per person.